End of an era . . . | A balanced diet . . .
One of the most satisfying periods of my working life was setting up and managing the Office for Program Planning and Coordination (DPPC, later to become Program Planning and Communications) at the International Rice Research Institute (IRRI) from May 2001 until my retirement in April 2010. And working with a fine team of people over the years. Not only did we achieve a great deal—especially rescuing the institute’s reputation with its donors from the dark place it had sunk to—but we helped to rehabilitate a research culture that had become seriously dysfunctional. The term ‘herding cats’ comes to mind. The achievements of DPPC are down to the fantastic team of professionals that I was able to bring together, who quickly bought into an ethos for DPPC that I was keen to establish. Thereafter they worked very effectively together to make things happen, often going the extra mile to meet deadlines (mostly externally imposed) even when research colleagues hadn’t always met their side of the ‘project development and management bargain’. So how did this all come about, who was involved, and why am I waxing lyrical about DPPC at the end of October 2017, over seven years since I retired from IRRI? Well, the short answer is that at the end of October, the last member of my original DPPC team, Zeny Federico, will retire. Others have retired already, moved on to bigger and better things, or moved to other positions in the institute. It’s the end of an era! DPPC no longer exists. Shortly after I retired it changed its name to DRPC—Donor Relations and Project Coordination, and is to become the IRRI Portfolio Management Office (IPMO). 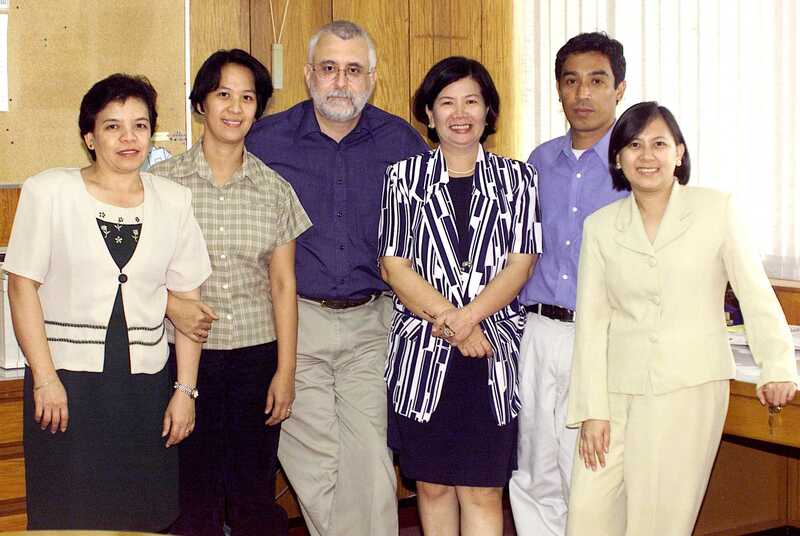 In January 2001, I was approached by IRRI Director General Ron Cantrell to take over the office responsible for the institute’s donor relations and project management, and help rebuild its reputation and credibility with its donors¹, as I have described in one of my very first blog posts back in February 2012. In itself this would appear rather strange as I was then head of the institute’s Genetic Resources Center (GRC), with day-to-day responsibility managing the world’s largest genebank for rice. During the visit of a team of management consultants at the back end of 2000, Ron received some bleak feedback about the parlous state of the institute’s donor relations and project management. There was apparently little accurate information about the number and scope, or even commitments, of time-bound projects or grants (often referred to as ‘special projects’, each with its specific objectives and research timeline) within the institute’s overall research framework that IRRI had on its books. I’m not sure exactly how, but my name was suggested as someone to lead an initiative to put things in order. Let’s talk about funding for international agricultural research for a moment. In January 1973, when I first joined the International Potato Center (CIP), one of 15 international agricultural research centers supported through the Consultative Group on International Agricultural Research (CGIAR), most donor support came in the form of lump-sum grants, commonly known as ‘unrestricted funding’. Even in the 1990s, however, the writing was on the wall, the future of ‘unrestricted’ funding was looking uncertain, and ‘special project’ funding started to increase significantly. It’s the norm today. With ‘special project’ funding, donors have rightly insisted on greater accountability, mostly through regular (often bespoke) reporting on what the research has achieved, what benefits it has brought to farmers and particularly the rural and urban poor, and how the funds have been spent. After all, donor agencies are accountable to tax-payers in their own countries. 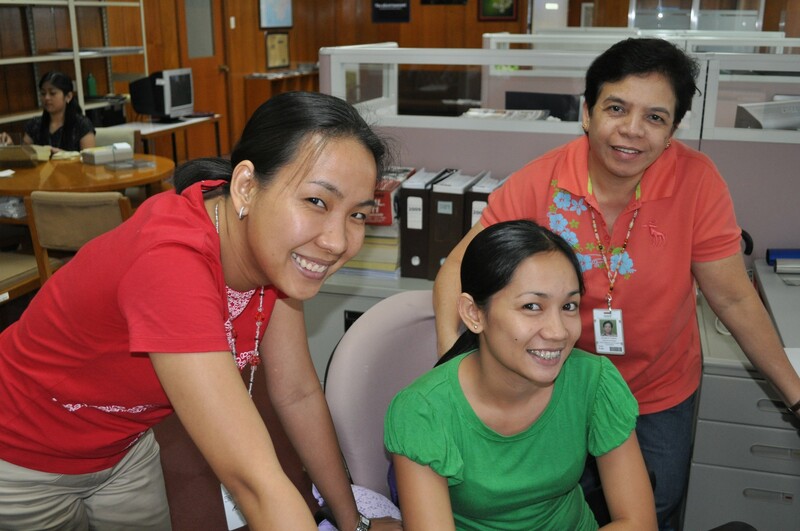 The challenge for DPPC was not only to meet donor expectations and comply with their funding requirements, but help build a robust research management culture in which individual researchers fully committed to institute goals and objectives rather than focusing on their own, sometimes selfish, research agendas as had increasingly (and regrettably for IRRI) become the situation across the institute. Herding cats! And while we certainly did help rebuild the institute’s reputation in terms of research project management and accountability, I believe the most important legacy was a solid culture for project development, execution, and management that has served the institute well. When I moved from GRC to become head of DPPC and an institute director, I asked Zeny to join me. I knew that I needed someone working alongside me who I could rely on completely. Zeny had been my secretary since 1997 when my secretary at that time, Sylvia Arellano was poached by George Rothschild to become the executive secretary in his office. The day after Sylvia moved, George ‘resigned’ as Director General. Zeny with Sylvia and Tessie Santos. 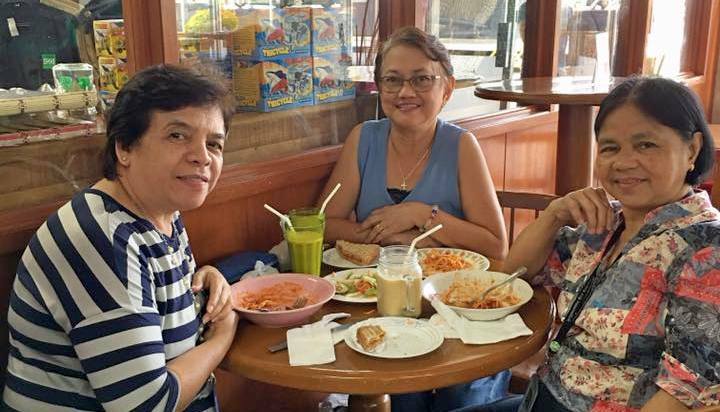 Sylvia and Tessie were secretaries in GRC when I joined IRRI in 1991; both are now retired. 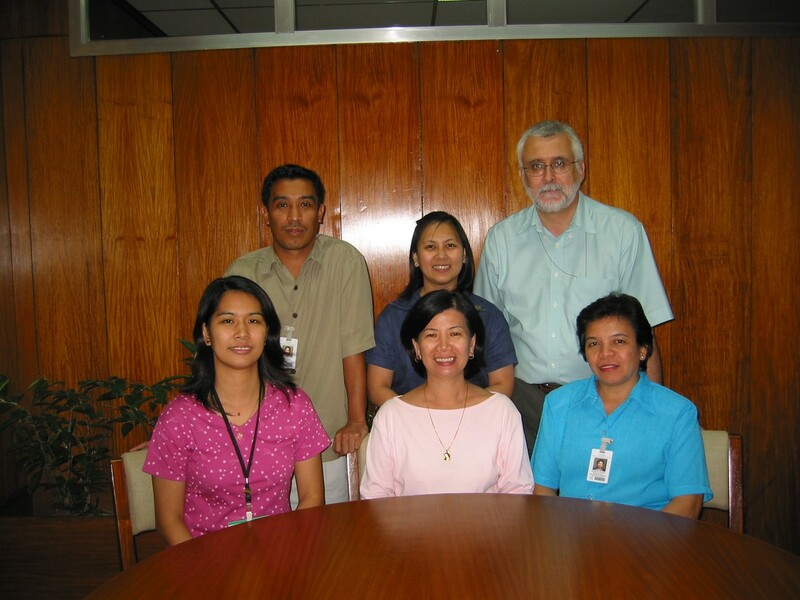 Zeny joined IRRI in 1980, aged 27, as one of the administrative support staff for the International Rice Testing Program (IRTP), which became the International Network for the Genetic Evaluation of Rice (INGER) at the end of the 80s or thereabouts. Prior to IRRI she had been a clerical research aide with the Corn Program in the Department of Agronomy of the University of the Philippines-Los Baños (UPLB), which transferred after 1975 to the university’s Institute of Plant Breeding. In 1991, when GRC was founded, and merging INGER and the International Rice Germplasm Center (IRGC, the rice genebank) into a single administrative unit that retained their separate programmatic functions. Without going into detail, many INGER staff (including Zeny) were not, to put it mildly, enthusiastic that INGER was no longer completely independent unit. By 1997, I think much of that reluctance had disappeared, and Zeny immediately accepted my invitation to become the GRC executive secretary. I couldn’t have hoped for more loyal and committed support over the years. It was a ‘no-brainer’ for her to accompany me to DPPC. She was the anchor among the DPPC team. 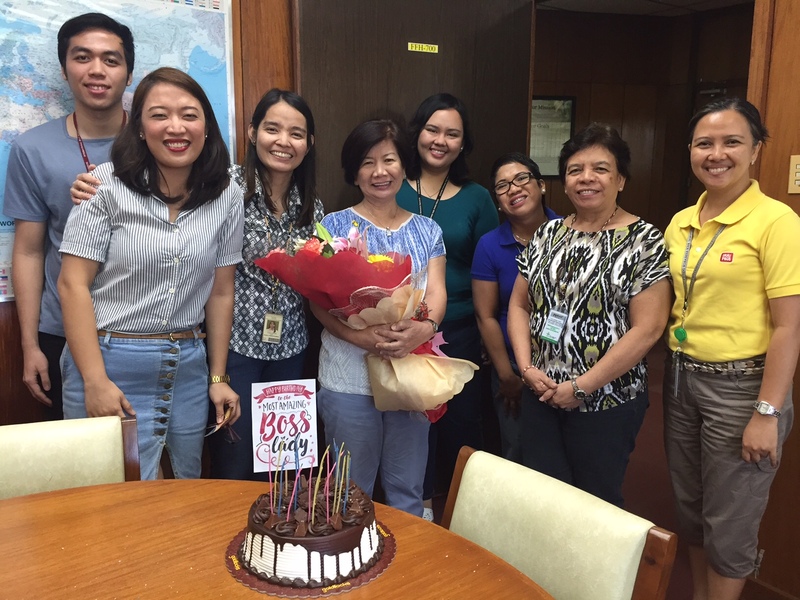 Since I left IRRI, Zeny’s role has evolved, and she will retire in two weeks as Senior Officer – Administrative Coordination. I was faced with a decision concerning the three existing staff I inherited, and very quickly came to the conclusion that two of them appeared to be ‘square pegs in round holes’ given the vision I had for DPPC. In any case, I was keen to bring in someone new as my deputy. And that person was Corinta Guerta, a soil chemist and Senior Associate Scientist working on the adaptation of rice varieties to problem soils. A soil chemist, you might ask? When discussing my new role with Ron Cantrell in early 2001, I’d already mentioned Corinta’s name as someone I would like to try and recruit. What in her experience would qualify Corints (as we know her) to take up a role in donor relations and project management? 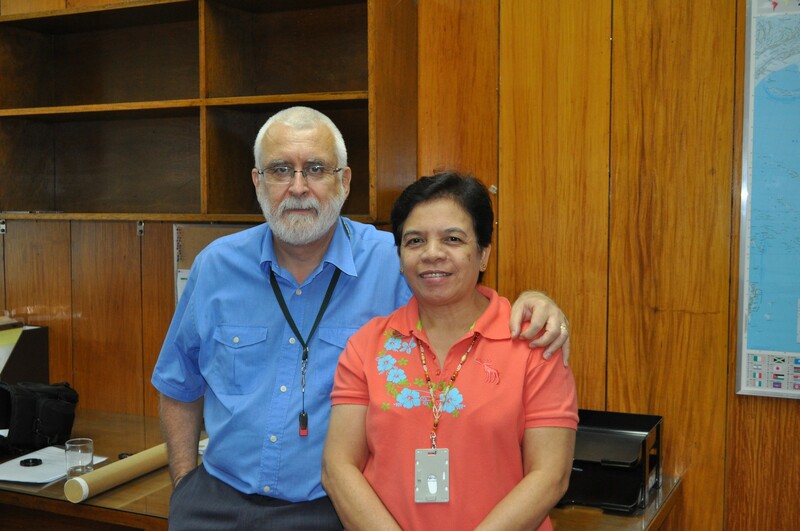 Corinta joined IRRI in July 1975 as a Research Assistant 1, when she was 23 years old. Having earlier graduated with a BS degree in chemistry from College of the Holy Spirit in Manila, she then placed sixth in the national Chemist Licensure Examination of the Philippines Professional Regulation Commission. In 1982 she received her MS from UPLB. When, in April 2009, I accepted a one-year extension to my contract, Corints took over the day-to-day running of DPPC. This gave me time and space to plan the 3rd International Rice Congress to be held in Hanoi in 2010 (IRC 2010), as well as overseeing the IRRI Golden Jubilee celebrations from December 2009 to April 2010. In fact, Corints became de facto head of DPPC from January 2010, with me simply in a mentoring support role. After I retired, she was appointed Director for External Relations and, as far as I’m aware, is the only IRRI national staff member to have joined the institute as a junior researcher and retiring earlier this year at the highest levels of management. 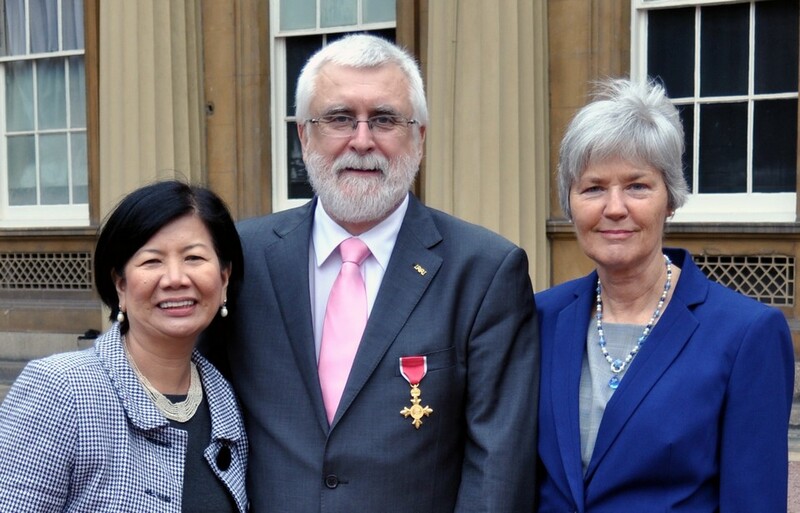 I was delighted in February 2012 that Corints would be visiting several donors in Europe, and that she could join my wife Steph and younger daughter Philippa at an investiture in Buckingham Palace in London when I received my OBE from HRH The Prince of Wales. Sadly, Corints was widowed around 2003 or so. I watched her son Christian and daughter Diane grow up over the years. Corints is the proud grandmother of a little girl. Over the years there were several personnel changes in DPPC/DRPC. That was a healthy situation, because they came about for all the right reasons. 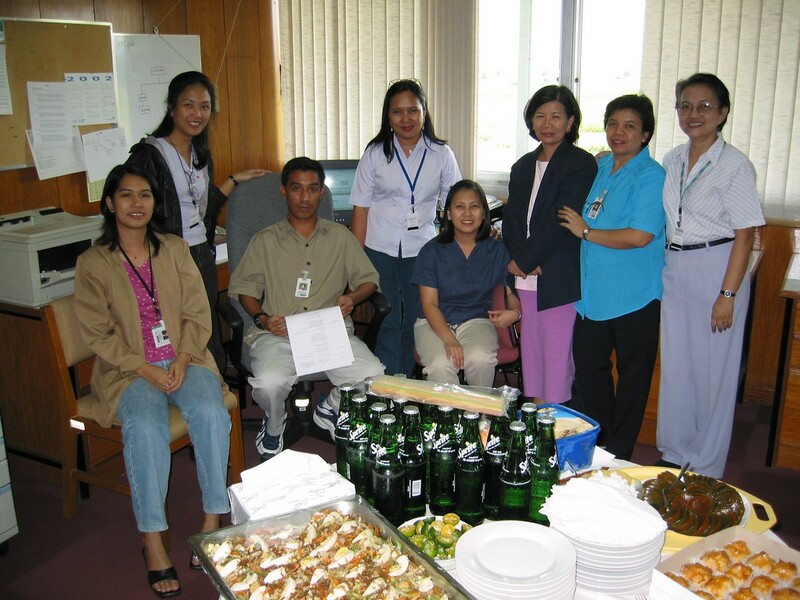 Staff grew in their positions, and then moved on to broaden their experience further (mainly) outside IRRI. The turnover of staff also brought some positives. New people do things in different ways, bring in new ideas and approaches. From the outset, I knew we needed an online database to handle all the information and correspondence around each project and grant, ‘glued’ together by a unique ID number for each project/grant. Not exactly ‘rocket science’, but I couldn’t believe the resistance I faced in some quarters (particularly the Finance Office) to adopting this ID. Remember, I came from a genebank background, managing thousands of seed samples, known as ‘accessions’ (= projects/grants), and handled lots of different activities and information through a database management system. We ditched the idea of using a system-in-development from IRRI’s sister center in Colombia, the International Center for Tropical Agriculture (CIAT). I was convinced we could do better. But we needed some in-house expertise to translate ideas into tangible assets. That’s where computer science graduate Eric Clutario enters the DPPC story. When Corints and I interviewed Eric, he quickly understood the essential elements of what we wanted to do, and had potential solutions to hand. Potential became reality! I don’t remember exactly when Eric joined us in DPPC. It must have been around September or October 2001, but within six months we had a functional online grants management system that already moved significantly ahead of where the CIAT system has languished for some time. Our system went from strength to strength and was much admired, envied even, among professionals at the other centers who had similar remits to DPPC. I could outline an idea to Eric and within the same day he’d have a prototype to show me. Once we could make the database accessible on the intranet, then all researchers were able to monitor research progress and expenditures, and non-confidential correspondence, related to the projects they were working in. After about four years, I discussed with the head of IRRI’s IT Services about how IRRI more widely could benefit from Eric’s expertise. With everyone’s agreement, Eric transferred to IT Services, but with a guaranteed 50% commitment to DPPC. In this way his expertise could be deployed to solve other pressing database issues outside DPPC without compromising his support to us. And, as far as I know, that arrangement has remained in place to some extent. 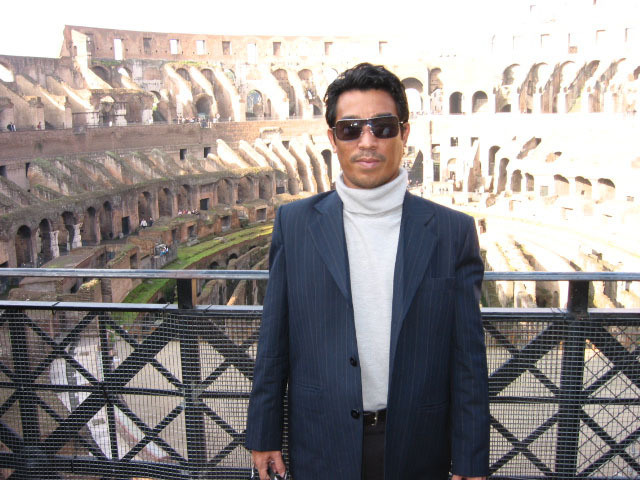 In 2007, Eric was seconded to Bioversity International in Rome for several months to contribute to an inter-center initiative. I don’t remember the details. I also attended a workshop in FAO to launch this particular project, and Eric I traveled there together. It was his first time to fly, and we flew Business Class on Emirates. I don’t think Eric could imagine his good fortune. This was what flying must be like all the time. Another member of team was needed to handle the ‘donor intelligence’ in the first instance, then take over other aspects of project management. During my time we had three staff as Assistant Manager / Manager in this position. Monina La’O joined DPPC in September 2001, and started to compile information about the donor community and funding opportunities. She left in December 2002, when she married and moved with her husband away from the Manila area. Monina’s despedida from DPPC in November/December 2002, with friends from other units. That’s when Sol Ogatis came to our attention, in February 2003. A BS Economics graduate from UPLB, Sol was working as a supervisor at the Philippine Chamber of Commerce and Industry in Manila. Sol did a great job, building a solid donor base for the information system, and the essential links between DPPC and research staff around the institute. By July 2008, new opportunities had come along, and Sol decided to take a new position in the US Embassy in Manila as Coordinator for the US Export Control and Related Border Security Program. And she’s still there, but her legacy at IRRI endures. Sol was replaced by Marileth Enriquez, known as ‘Yeyet’, in December 2008. A molecular genetics graduate from UPLB, and holding a Masters degree in Technology Management from the University of the Philippines – Diliman, Yeyet came to us from the Colombo Plan Staff College for Technician Education for Human Resource Development in the Asia Pacific Region. Building on the work of her predecessors, Yeyet took this role to another level, and soon had taken over some of the more detailed project development aspects that Corints had managed, once Corints had broader responsibilities as a Director and oversight of other units. 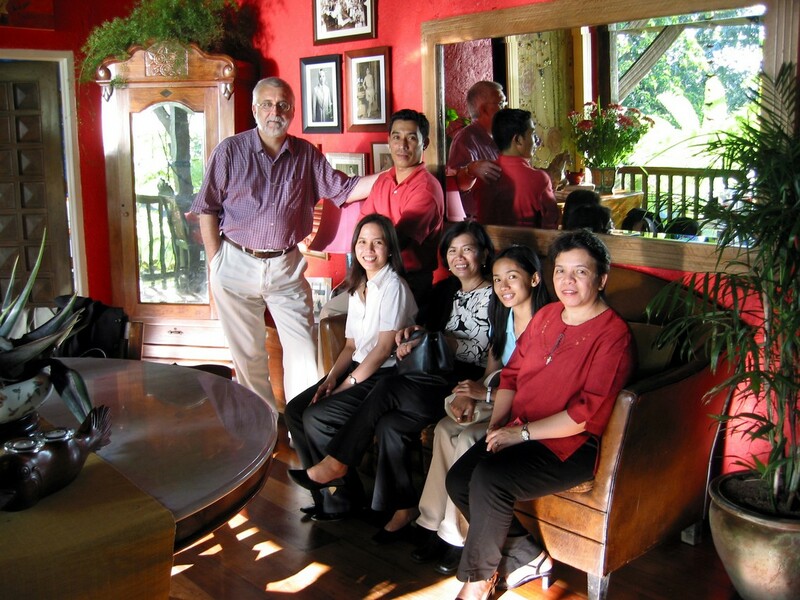 In March 2009 we decided to make an office trip to the rice terraces north of Manila. 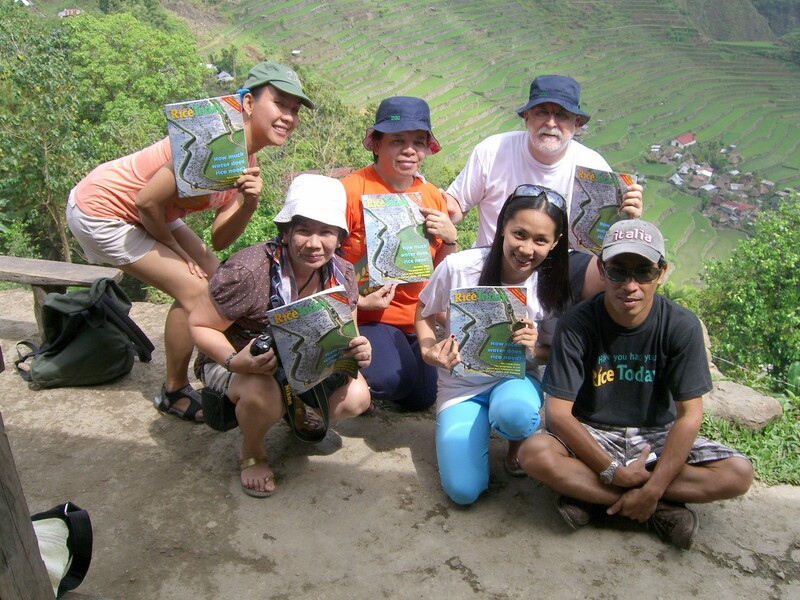 Yeyet quickly took on the role of ‘expedition organizer’, and we had a great visit to Banaue, Sagada and Baguio. Steph joined us on that trip. 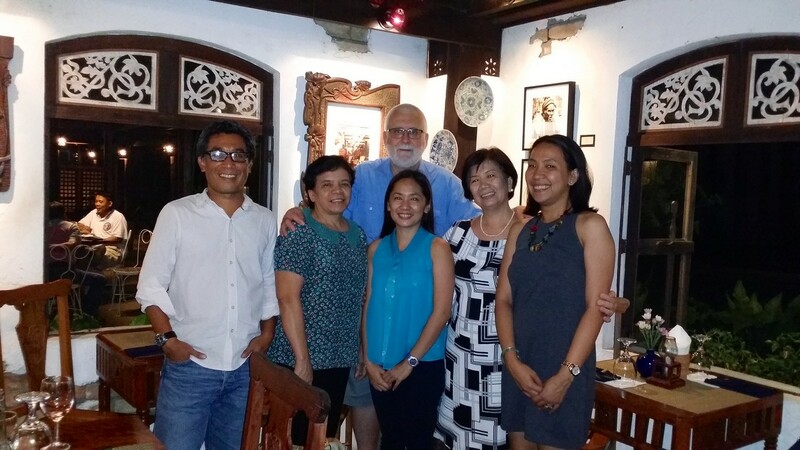 Come October 2015, Yeyet decided to seek pastures new, and joined Save the Children Philippines as Director of Awards. 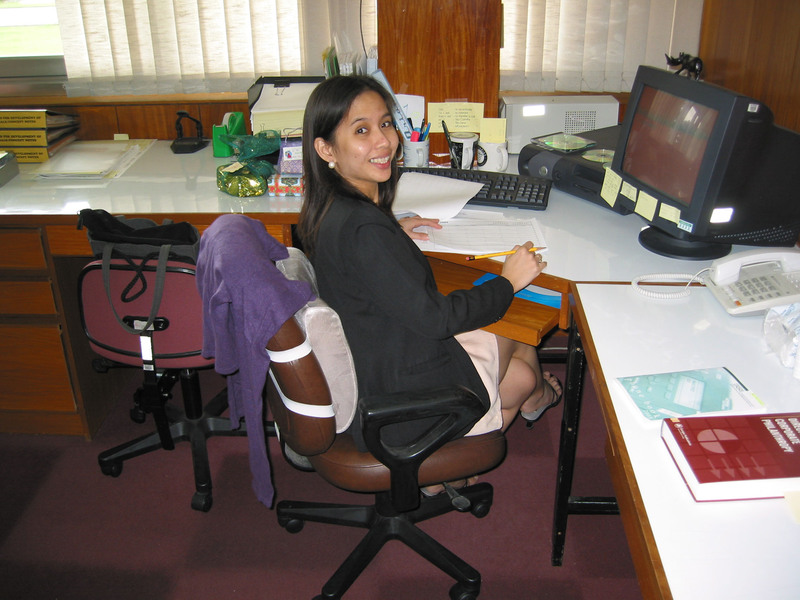 In early 2014, she married Christian, an accountant who had worked in IRRI’s Finance Office. I was privileged to be invited to become a sponsor (known as ‘ninong’ in Tagalog) when they married. And although I was unable to attend their wedding, I did send a surprise video greeting. Marisol ‘Sol’ Camasin was the only one of the three original staff who stayed on as an office clerk, until September 2002. 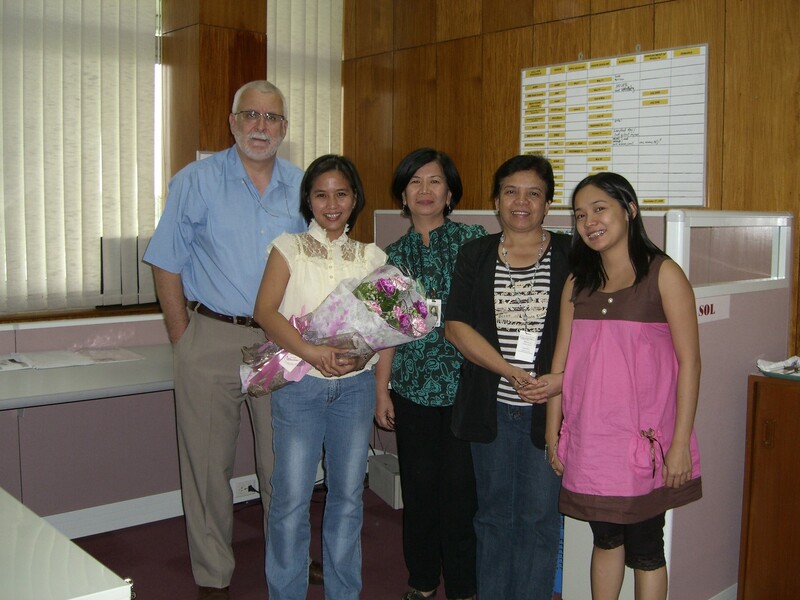 She was replaced by Analyn Jopia until early 2004, when Vel Hernandez-Ilao joined the office on a half-time basis (shared with the DDG-Research office). Vel became full time member of the DPPC team in April 2007. Nominally the ‘junior’ in DPPC, Vel very quickly became an indispensable member of the team, taking on more responsibilities related to data management. She has a degree in computer science. However, just a month or so back, an opportunity presented itself elsewhere in the institute, and Vel moved to the Seed Health Unit (SHU) as the Material Transfer Agreements Controller. As the SHU is responsible for all imports and exports of rice seeds under the terms of the International Treaty on Plant Genetic Resources for Food and Agriculture using Material Transfer Agreements, Vel’s role is important to ensure that the institute is compliant under its agreement with FAO for the exchange of rice germplasm. Vel married Jason a few years back, and they have two delightful daughters. With her departure, and Zeny’s pending retirement, that’s the original team I put together gone forever. 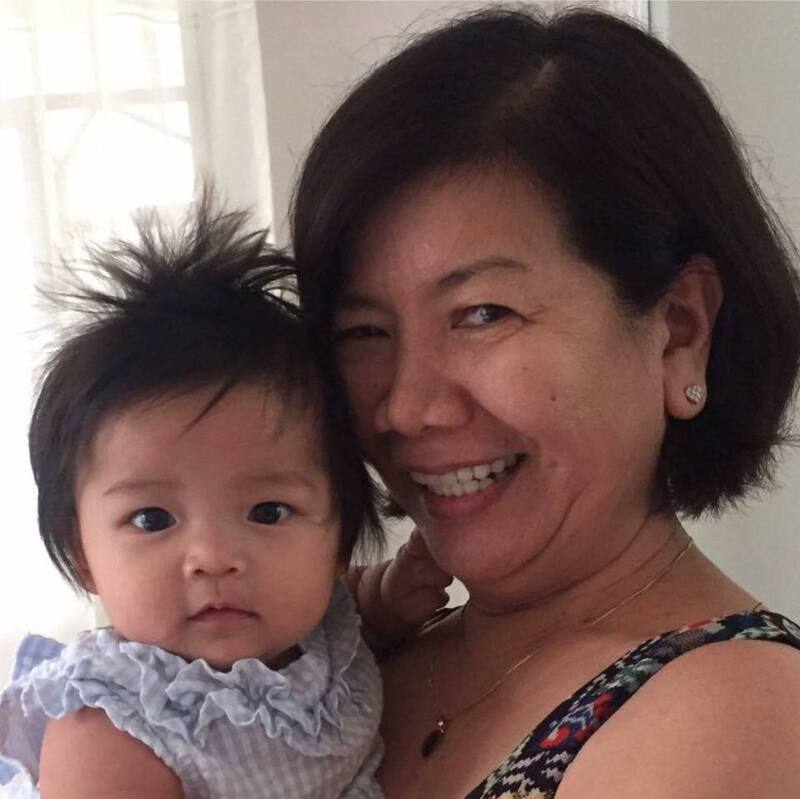 We took on some short-term staff from time-to-time, to cover for Vel when she was expecting her first child, or when the work load required an additional pair of hands, between Sol’s departure and Yeyet coming on board, for example. Colleen Fernandez comes to mind, as does Froilan ‘Popo’ Fule. But there is someone else I must mention who was a member of the DPPC Team although not an IRRI employee as such. In 2005, the donors to the CGIAR decided that they would only continue funding programs if each center rolled out a risk assessment and business continuity initiative. I drew the short straw, and had to decide how we would do that. With advice from the head of the CGIAR’s Internal Audit Unit (IAU), John Fitzsimon (who became Inspector General at FAO in Rome for six years from February 2010), and whose office was just down the corridor from mine, we decided to develop a bottom-up approach, but needed a safe pair of hands to manage this full-time. So we hired Alma Redillas Dolot as a consultant, and she stayed with DPPC for a couple of years before joining the IAU. Working intensively with all programs, divisions and units, Alma built up a comprehensive picture of all the risks facing the institute including financial, legal, reputational, scientific, and logistical risks, and plans to mitigate or respond to these. Among all the CGIAR centers it was by far the most comprehensive risk assessment and management plan developed. Following her stint in the IAU, Alma moved to Nairobi, Kenya to join the Alliance for a Green Revolution in Africa (AGRA) as Head of Internal Auditing Unit, remaining there for about seven years. She received some pretty serious mentoring from some very influential persons. Do you recognise next to whom she is standing? 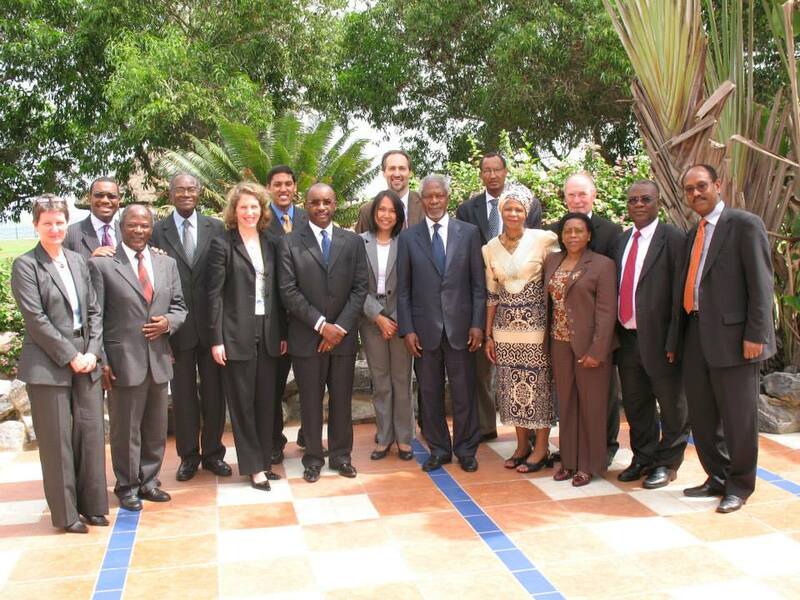 With former UN Secretary-General Kofi Annan and others. Taking a sabbatical from AGRA in 2012, Alma also completed her Master in Public Administration degree from the John F. Kennedy School of Government at Harvard University in May 2013. Returning to Nairobi, she stayed with AGRA for a couple more years, before making another move, in 2016, to Vienna and the headquarters of the International Atomic Energy Agency (IAEA) as an Internal Auditor in the Office of Internal Oversight Services. Over the years, we had lots of fun together socially, playing badminton twice a week, dining out at Christmas or enjoying a BBQ at my house, sometimes with staff of the Development Office (one of the units I supervised, and closely linked to DPPC). Just before I left the Philippines, in March 2010, the DPPC Team enjoyed a long weekend at the beach at Arthur’s Place (where Steph and I used to snorkel and scuba dive) together with colleagues from the Development Office. Looking back, I have been immensely privileged to work with such a dedicated team, and very smart people. Much smarter than me! As one of them told me recently: ‘You were like the conductor of a [great] orchestra. We were the virtuosos‘. I like that analogy. They also seemed to have appreciated my management style, allowing them to get on with their tasks, after we’d agreed on what needed tackling, without constant interference from me. Micromanagement is something I detest. 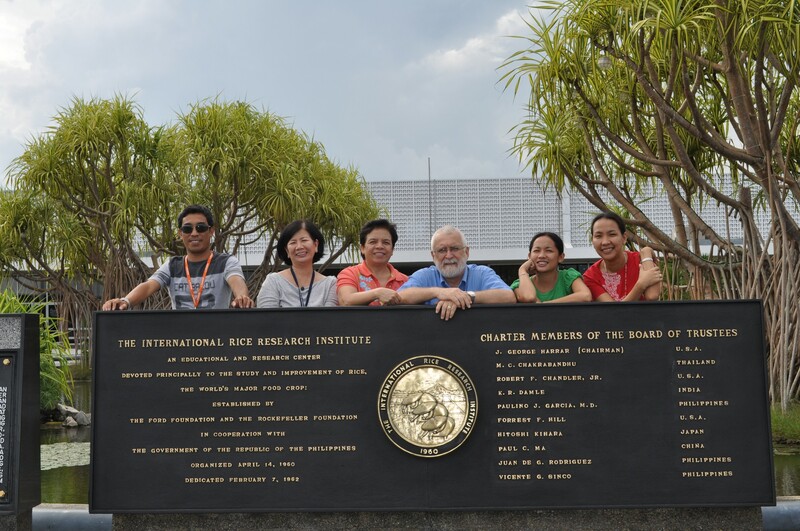 The last time I saw my team was in August 2014 when I visited IRRI in connection with the 4th International Rice Congress. As usual we spent a lovely evening together, at Sulyap in San Pablo. ¹Not all these donors support IRRI. Here is a list of current donors to the institute. This entry was posted in IRRI, Musings from the past, On my mind . . ., People, Science and tagged DPPC, IRRI.